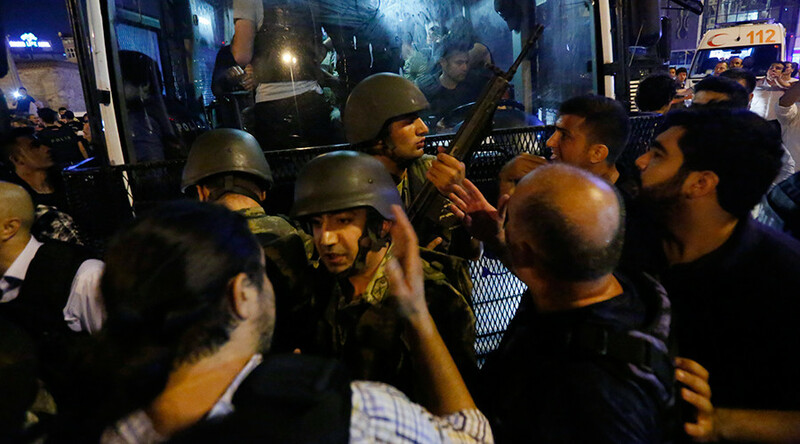 Soldiers arrested during a failed coup attempt in Turkey told interrogators that they thought that they were taking part in military exercises. A group of 678 troops and 10 officers, headed by a colonel, was detained by authorities at Ataturk International Airport overnight. During the interrogations, some of the soldiers claimed that, initially, they had no idea that they were taking part in an attempt to topple the government, thinking that it was just a military drill. “Only when people began to climb on the tanks, we understood everything,” the soldiers said, according to Hurriyet newspaper. Turkish Prime Minister Binali Yildirim has reported that 2,839 soldiers and officers implicated in the overnight coup attempt have been arrested. At least 265 people have been killed, including 104 pro-coup participants, while 1,440 people were injured in military action in Turkey’s capital, Ankara, and the country’s largest city, Istanbul. 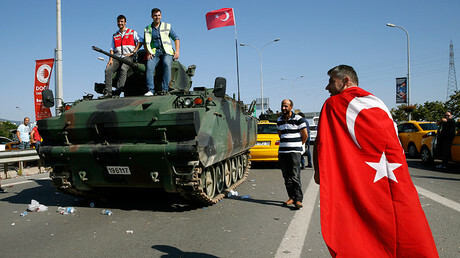 The conspiracy failed, as the organizers of the coup were unable to gain wide support from the military or population and didn’t manage to capture any high-ranking officials.